This week objective will be installing NodeJS 5.4.0 from binary with salt formula. The standard way of installing salt-formula can be found at https://docs.saltstack.com/en/latest/topics/development/conventions/formulas.html. However, I will use my own way here. If you try salt-call --local state.highstate you probably will get an error now. Why? Salt comes with an interface to derive information about the underlying system. This is called the grains interface, because it presents salt with grains of information. Grains are collected for the operating system, domain name, IP address, kernel, OS type, memory, and many other system properties. Grains can be customized in minion config file or at /etc/salt/grains, however normally using its default value is enough. Now run salt-call --local state.highstate and run node -v to verify, it should output v5.4.0. 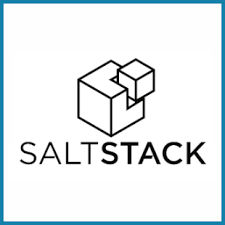 So the basic concept of saltstack to work with masterless vagrant should be covered from part 1 to part 3. After knowing the basic concept it should be relatively easy to google search for salt related article and create a salt script that fits your need.